Researchers from the University of Southampton used nanostructured glass to demonstrate recording and retrieval processes of five dimensional digital data using a super fast laser that can write up to 360 TB of data on a single CD sized media and withstand a temperature of 1000 degrees Celsius. The new development by researchers from the University of Southampton seems like a dream come true for anybody looking for the ultimate storage medium. Jokingly referred to as the "Superman memory crystal" the glass memory has some very unique properties just like the crystals seen on the Superman movies. 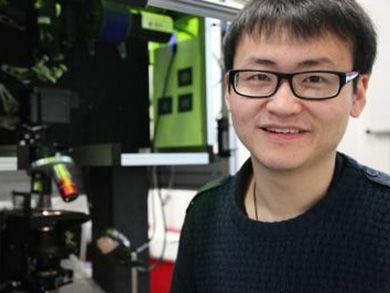 Using a special ultra fast femtosecond laser, the researchers demonstrated the new system by storing 300 kb of digital text on a fused quartz crystal encoded in five dimensions: the three usual ones plus the size and orientation. The data encoded in the crystal created a "file" made out of three layers of nanostructured dots separated by five micrometers (or one millionth of a meter). This storage method and material is said to have thermal stability up to 1000°C and practically unlimited lifetime. The nanostructures created by the ultra fast laser which include the stored information change the way light travels through glass, changing the polarisation of light that can then be read by combination of optical microscope and a polariser, not very different than the one found on conventional Polaroid sunglasses. The team are now looking for industry partners to commercialize the new technology which will require word before it can reach the market. More information on the memory crystal technology can be found on the University of Southampton website.